Dr. Vick Kargodorian provides dental veneers so that patients can restore damaged teeth or transform their smile into something beautiful. At Vick Kargodorian, DDS we often treat patients that have a variety of dental concerns. Some patients visit our Hollywood office because they break their tooth, while others are looking to create a Hollywood smile. Most people are candidates for the procedure as long as their tooth structure and roots are in place. If, however, you have a cavity or gum disease, this will need to be treated before we complete the procedure. If you want to learn more about dental veneers, we recommend that you call (323) 431-2319 to schedule an appointment. We are a provider of veneers and can let you know if they will help you to achieve the goals that you have for your smile. We can accomplish a variety of things using dental veneers. By placing veneers on top of the teeth, we can close gaps, make teeth even in length, cover dark stains and create a uniform looking smile. In this way, veneers can create a smile that rivals the most famous Hollywood stars.The nice thing is that you do not have to be famous to improve your smile. You simply need to call 323-431-2319 and schedule an appointment to see Dr. Vick Kargodorian. Check out what others are saying about our dental veneer and laminate services on Yelp: Veneers and Laminates Hollywood. When patients visit our Vick Kargodorian, DDS offices, we will take an impression of their teeth to create the veneers in a lab. The veneers will match the size, shape, and color of your teeth, taking a week or more to create. In order to place dental veneers, Dr. Vick Kargodorian will first prepare your tooth by removing a portion of the enamel. This helps the veneer lay flat and in line with your gum tissue. 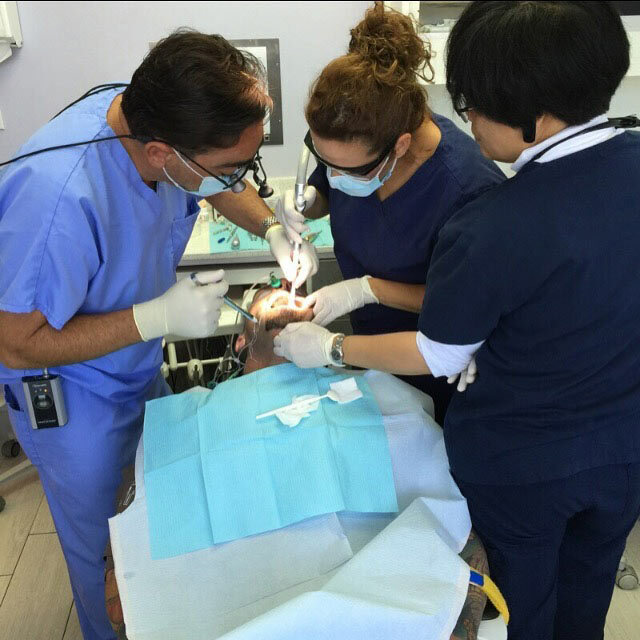 After preparing the tooth, we will secure a temporary veneer using removable glue. While wearing a temporary veneer, it is important to brush your teeth gently and avoid eating any foods that may push it out of place. Since it is secured by removable glue, it can be moved fairly easily. When your permanent veneers are ready, you will come back into our Vick Kargodorian, DDS offices so that Dr. Vick Kargodorian can remove the temporary and ensure that the new veneer is a perfect fit. It is typically attached using a water based solution to see how it looks. If any adjustments need to be made, it will be done at this time. Otherwise, the tooth will be cleaned, and the dental veneer will be bonded to the tooth. Patients will enjoy how the results look. They are instant, and you can start flashing your smile right away. Your teeth will typically be sore for a few days after the preparation phase and after placing the permanent veneers. During this time, you can take pain medication to help you stay comfortable. Patients can also benefit from getting rest and using a cold compress to reduce any swelling. Dr. Vick Kargodorian recommend that patients watch what they eat for a few days and stick with foods that are soft. While there is a short recovery time when getting veneers, the procedure is entirely worth it because in the end, you will have a beautiful smile. One main benefit of veneers that patients enjoy is how the veneers make their teeth look. This procedure is an excellent solution, since the veneers can transform your smile into one that looks perfect and beautiful. The veneer uses your natural teeth, so there is no need for surgery, and the recovery time is reduced. Since the veneers are made to match your other teeth, they will look natural, and no one will be able to tell that you had any cosmetic dentistry work completed. Another benefit is that they are made out of a stain resistant material. This means that your teeth will stay whiter and brighter, even if your favorite beverage is a hot cup of coffee. Dr. Vick Kargodorian can use dental veneers to transform your smile. At Vick Kargodorian, DDS we understand that your insurance company may or may not pay for veneers. We will work with you and your insurance company to ensure that you receive the dental care that you need, regardless of how much they are willing to pay. We offer a variety of financing solutions for those that are uninsured, as well. By creating a payment plan, we make getting veneers affordable. 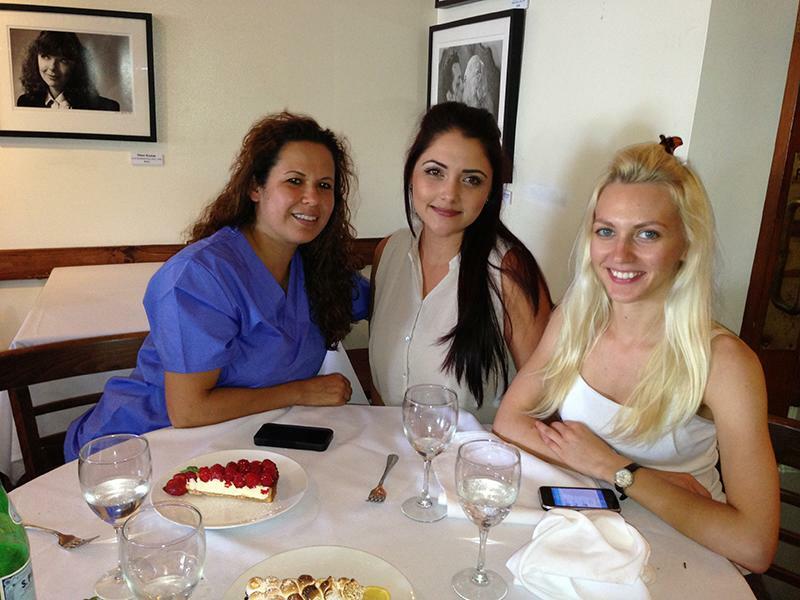 To learn more about dental veneers and Vick Kargodorian, DDS call (323) 431-2319 to schedule your appointment.